The main goal of the periodontal treatment is to stop the progress of the periodontal disease and at the same time reducing future risks in the recurrence of the disease. Patients have to know that periodontal disease has an infective feature and it is characterized by bone loss, attachment loss, the formation of the periodontal pocket, and gingival recession. These pathogenic changes appear as a result of the host’s response to a periopathogenic infection from the bacteria. Another thing to consider which is addressed to the periodontal therapy is the restoring of the homeostatic relationship between the periodontal tissue and the dental-plaque community. The most commonly used periodontal treatment is the mechanical removal of dental plaque, stains, and calculus from the crowns and roots of the teeth. According to many searches, the scaling procedure drastically improves the patient gum health, and the microbes are effectively reduced. Some clinical parameters are also improved such as bleeding on probing, clinical attachment level, and probing depths. In some cases, this dental procedure can be difficult for performing according to the morphology of the roots of some teeth and can be unpleasant for the patient. 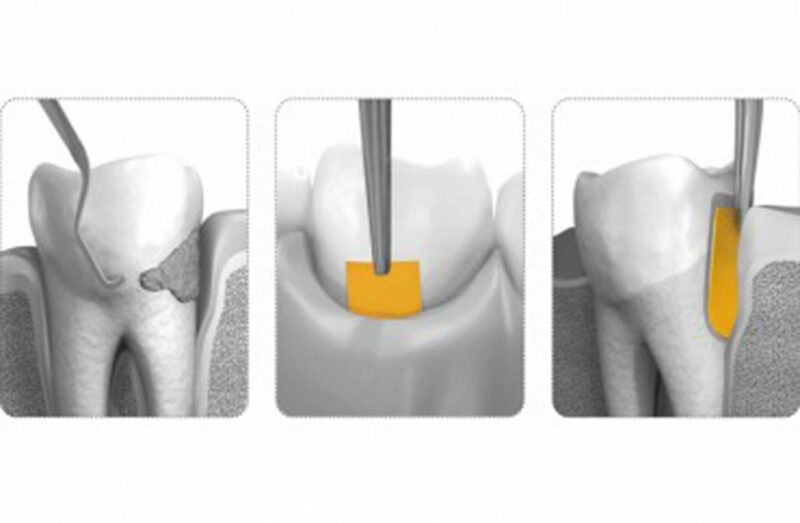 PeioChip is a new and effective way of treatment for periodontal disease. It is a unique biodegradable chip which consists of 2.5 mg of chlorhexidine gluconate. It has been shown as a well-tolerated intervention for reducing the depth of the periodontal pocket in patients which have diagnosed adult periodontitis with a periodontal depth of more than 5 mm. This new product is a great option for all patients. 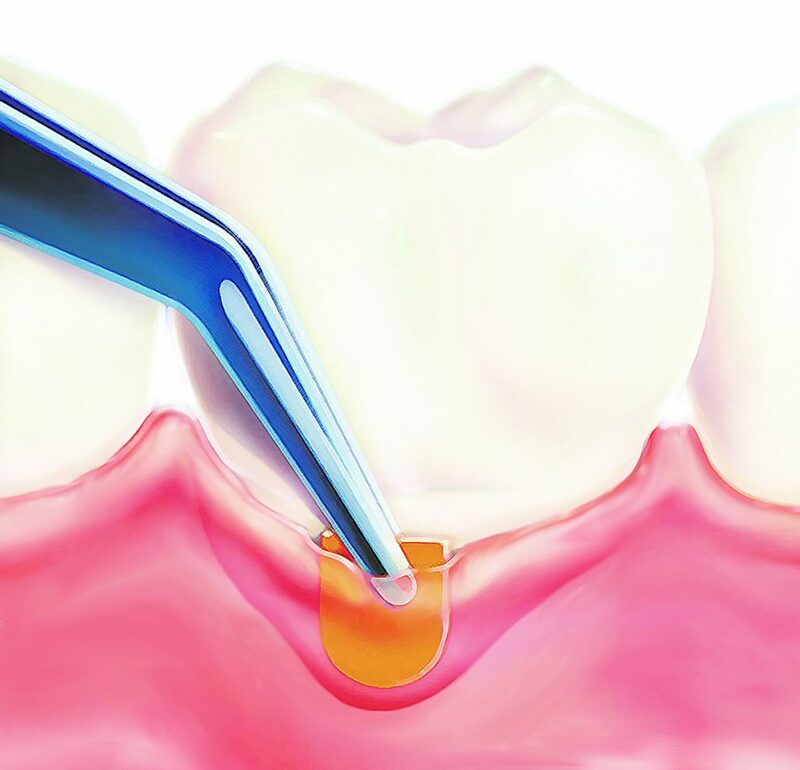 When the PerioChip is combined with the conventional scaling and root planning intervention, it is noticed that the depth of the periodontal pocket is reduced. 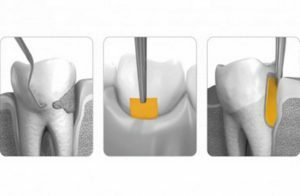 The dental professionals recommend the periochip as part of the periodontal maintenance protocol. The best option for periodontal disease treatment is the combination of maintaining good oral health care habits, scaling and root planning procedures, and PerioChip. This product is best indicated to be used in periodontal pockets with the depth of periodontal pocket greater or equal to five mm. This great product provides its benefits simply by releasing chlorhexidine in vitro. There is approximately 40% released chlorhexidine in the first 24 hours, and the rest is released in almost seven to ten days. It is good to remember that periochip is a small and thin wafer which is inserted under the gums by a dental professional and only in periodontal pockets greater than five mm after the scaling procedure. When placed, the PerioChip dissolves in a natural way and there is no need to take it out. Another great advice is that patients should avoid flossing in the area where the product is inserted because the flossing procedure can dislodge the chip. If somehow the chip is removed, the patient should visit his dentist. The most important thing to consider is that the insertion of the PerioChip is less than one minute after the scaling procedure. In some cases, a mild to moderate sensitivity may appear but it is a normal situation. For all patients who are particularly sensitive, the dental professional could apply a topical anesthetic before the insertion of the chip. Book an appointment with one of our friendly dentists today.